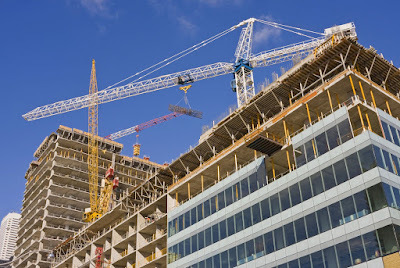 A net balance of 3% more chartered surveyors reported that construction workloads in the UK had risen, rather than fallen this quarter, although slightly stronger than the balance of -2% posted last quarter, it is a significant slowdown on the trend growth over the previous three years. Private housing saw the fastest rate of growth compared to other construction sectors, with 15% more chartered surveyors reporting workloads had risen rather than fallen. Both the private commercial and infrastructure sectors in Scotland saw a drop in construction activity during Q3. Across the UK, the Midlands remains the engine of growth in UK construction, with 30% more respondents reporting a rise in activity, while London and the South East have seen growth levels moderate significantly due largely to a slowdown in activity in the private commercial sector. In the Scottish private industrials sector, 9% more contributors reported a rise rather than a fall in workloads, meanwhile, activity in the public housing sector remained flat. Looking further ahead, respondents predict generally subdued growth for the Scottish construction sector over the year to come, with 7% more respondents forecasting a rise in workloads rather than a fall. On average, contributors expect activity to rise by 2.5% over the next twelve months across the UK as a whole. Despite the slowdown in activity, expectations for employment growth in Scotland have improved with 21% more respondents forecasting a rise rather than a fall, up from 11% in Q2. However, both workload and employment expectations are still lower than pre-Q2 levels and anecdotal evidence from respondents suggests that uncertainty relating of the UK’s future relationship with Europe is still causing them concern regarding their future workloads. In Q3, financial constraints remain the most significant impediment to growth throughout the UK, anecdotally linked to uncertainty, with 69% of contributors reporting such constraints to be holding back growth. Planning and regulatory delays are the next most substantial factor with 55% of respondents citing problems in this area.